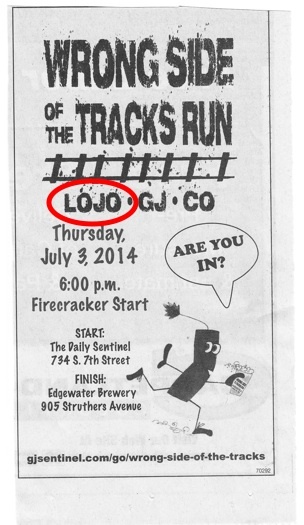 Today’s Grand Junction Daily Sentinel has an ad promoting a run the paper is sponsoring called the “Wrong Side of the Tracks Run” planned for July 3 that starts at the paper’s office building at 734 S. 7th Street and ends at the Edgewater Brewery at 905 Struthers Ave. In the ad, the Sentinel adopts the nickname first proposed by right here in AnneLandmanBlog for Grand Junction’s southern downtown area as it undergoes its urban renewal phase. 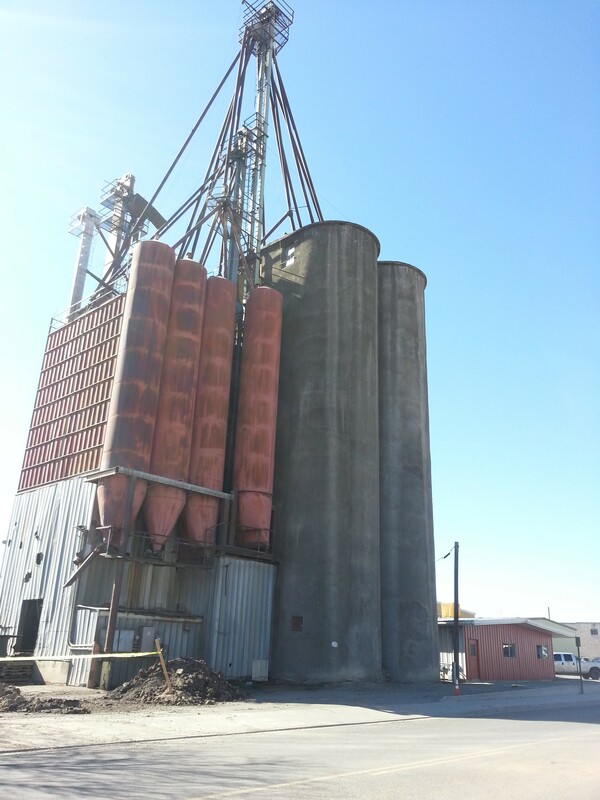 We called it “LoJo.” The nickname appeared in our April 17, 2014 blog titled “Jumpin’ Without Jesus: Get Air at the Silo Opens Soon in Grand Junction,” about the old Mesa Feed grain silo and building being made into a trampoline and jumping facility. Yes, folks, you heard it here first! The old Mesa Feed building on south 7th Street in LoJo is being rebuilt into a climbing and trampoline amusement park.